Black Diamond Shimmer 5328 Bicone Swarovski Crystal Beads 4mm. 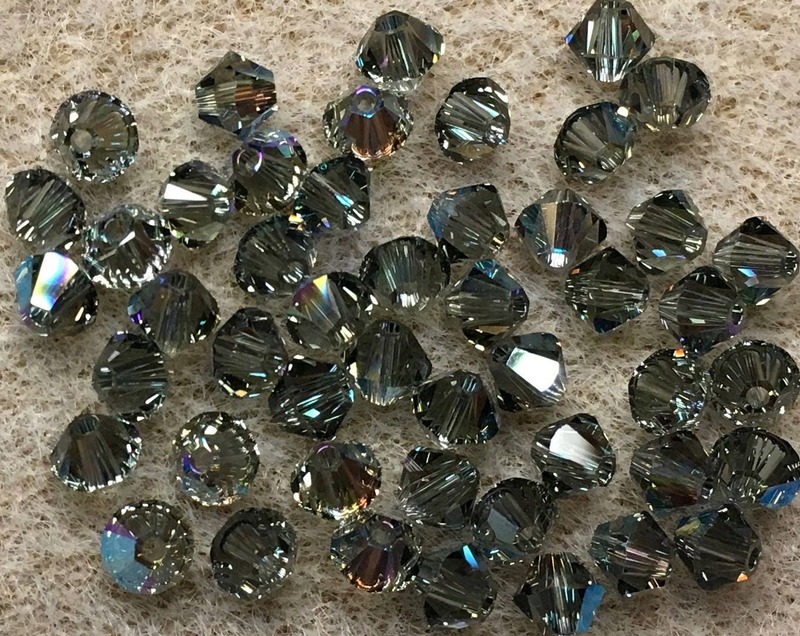 Bag of 24 Black Diamond Shimmer 5328 bicone shaped Swarovski crystals measuring 4mm. Hole size: .8mm; Maximum wrapping wire gauge: 20 ga.